Just wanted to wish you the best of luck for your trip. Hello Andy and hope all goes well. New people joining and not introducing themselves. Hi everyone....I think the photos say it all....flights are booked for my return at Christmas and into New Year. All went well and we had a fantastic time together. Those are some great photos Andy Ram, thanks for posting!! I am glad that everything worked out. Excellent News and excellent photos. I can't wait to read your experiences and impressions of Russia and China and of course, looking at the photos it's pretty obvious you have found the lady you were looking for! Congrats Andy, from the pictures it looks like you are on your way to a happy relationship. Very nice pictures and you look both of you very happy! Wish you all the best to both. ....flights are booked for my return at Christmas and into New Year. 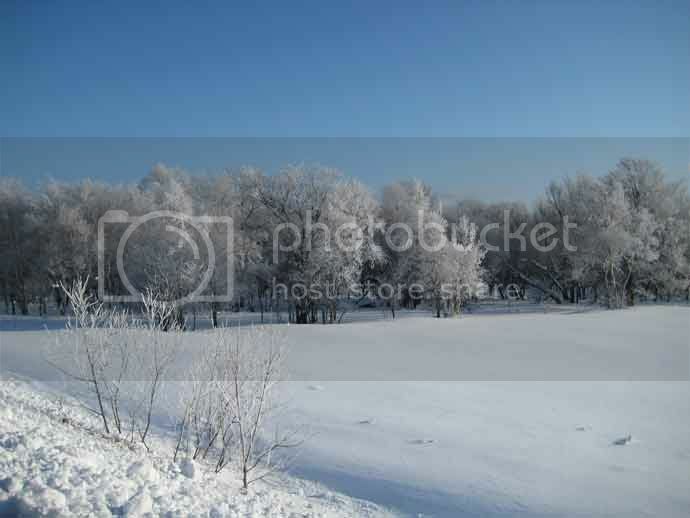 If you are planning to visit the Amur Region (Blagoveshchensk area) in the winter then please take into account that it will be very, very cold. I have spent a few winters in Yuzhno-Sakhalin (and in Yuzhno-Sakhalin we have the slight calming affect of the sea) and from Early December until mid March temperatures of -30C (minus 30 Centigrade) and colder are quite common from late evening until late morning. I have been in Yuzhno-Sakhalin for 3 winters and I can assure you that a-12.5C day (in January) would be considered "T-Shirt Time". The test is when you go outdoors and the moisture in your nostrils freezes instantly then it is colder than -20C and I will state that most mornings between late November and mid March the test works. To further demonstrate how cold it cam get have a look at these pictures. The "white" on the trees is not snow, it is ice, created by the humidity freezing (the moisture is sucked out of the air and turned into ice) and that ice stays on the trees from about mid November until early of March. 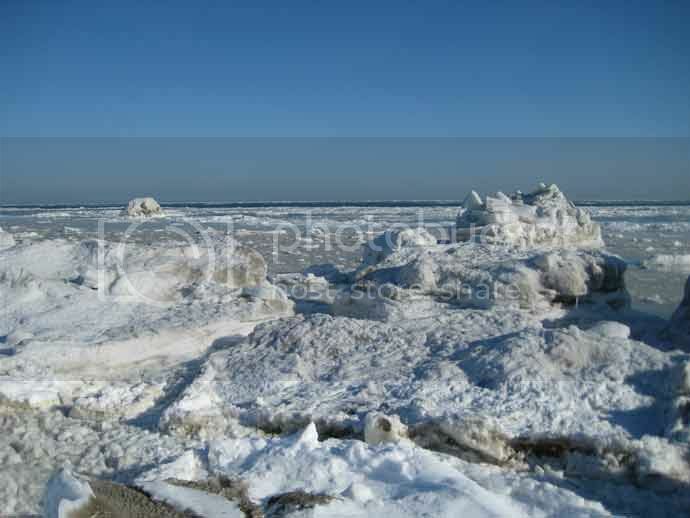 Frozen Sea - Photo taken mid February. The larger chunks of ice are still around until mid April. On a different level I will state that in most Russian homes (at least those that are supplied municipal heating) it is very warm indoors and that is because the heating is on 24/7). It must though be taken into account that not all Russian homes do have access to the municipality supplied central heating and in those homes that rely on either wood or coal it can also get bitterly cold indoors. This comment addressed to a different forum member. If you do not believe me when I state that not all Russian Homes have access to the municipally supplied hot water that provides the heating then I will make you an offer. The offer is, come to visit in either January or February and I will ask one of my friends to put you up in his house on Sakhalin Island. OH, silly me, I forgot that you have stated that you are not interested in going to Russia again until the Russian Government allows you to travel on your terms.